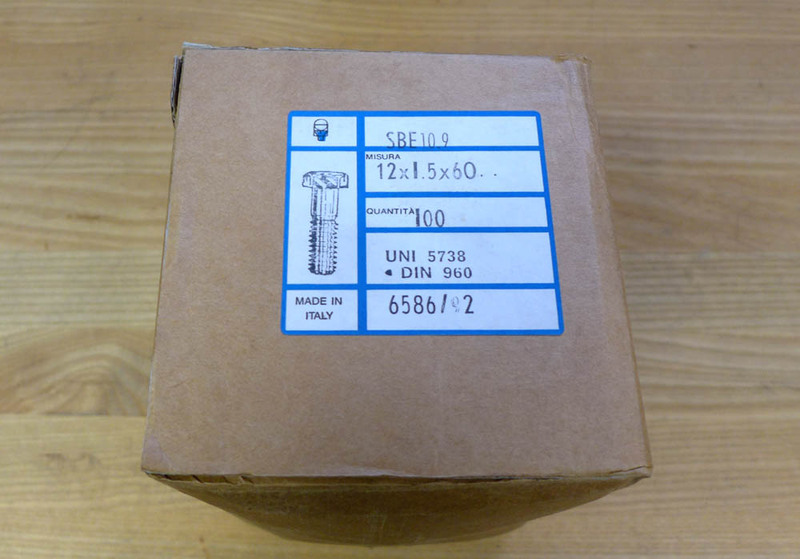 Metric Hardened Partial Thread Hex Bolt-M12x1.5x60 (bag of 10) - these were purchased years ago when I was selling big brake kits. This size was used for brake caliper brackets & mounting and is commonly used for European car suspension & drivetrain applications. Grade 10.9 is equivalent to a SAE Grade 8. The Europeans often used a 1.5mm thread pitch (standard for an M12 bolt would be 1.75mm). These are considerably more expensive online (BMW retail is $7-8ea). Pricing is based on 15yr old costs. Additional 10% discount for 3 or more bags of 10.